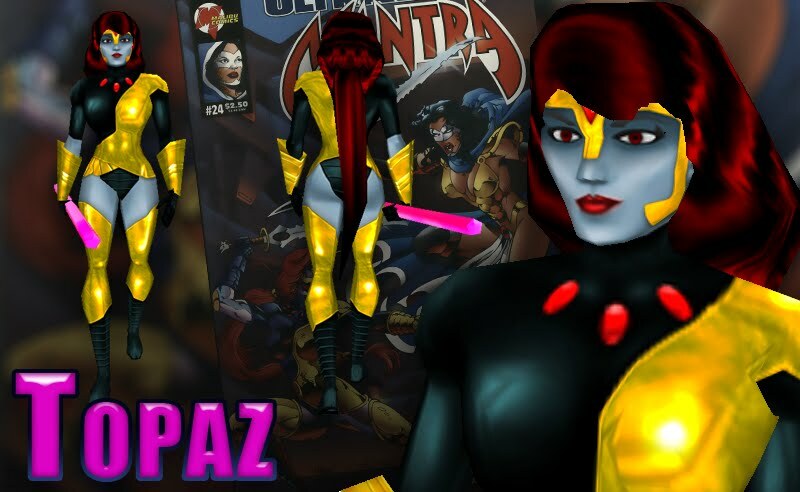 Topaz, one of the three queens of Gwendor, was teleported to Earth and went on a rampage until being recruited as a member of Ultraforce by Contrary. She can turn her skin to metal and has the powers of flight super strength. In addition to this she wields an energy staff which can powerful blasts. Her world has only women so she doesn't trust any man.